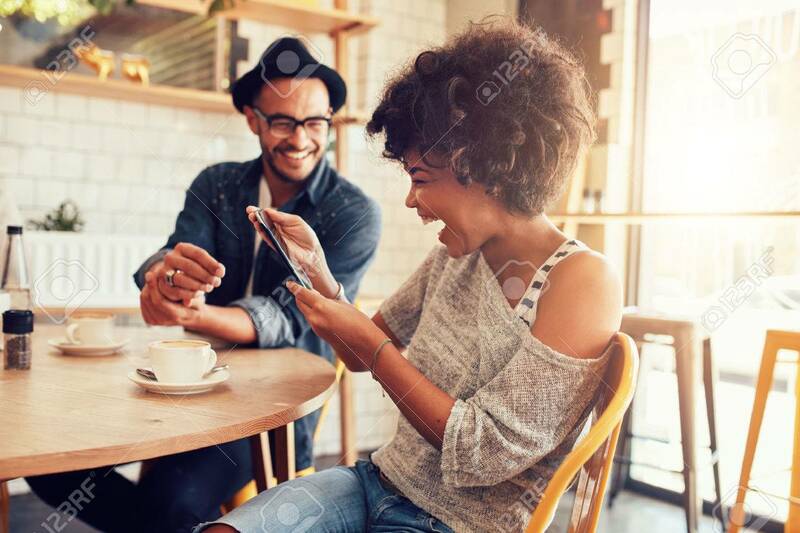 Portrait Of Smiling Young Woman At A Cafe Table Looking At Digital Tablet With A Friend Sitting By. 免版權照片，圖片，畫像及圖片庫. Image 52549157. 版權商用圖片 - Portrait of smiling young woman at a cafe table looking at digital tablet with a friend sitting by.